The process of moving contains many parts which make it complicated and because of which proper preparation is simply necessary. And, no matter if you are preparing for moving long-distance, or just a few blocks away, the principle is similar. One of the goals is to pack and transport all of your belongings and to have them safely unloaded. One of the ways is to either do it yourself or hire professionals to do it instead of you, in case you believe you’re not quite up to the challenge. In case you opt for the latter, then you can ask if moving container rental is a possibility. Be sure that it is very convenient to transport your belongings in such a way. But if you are thinking whether it’s a good option for you as well, let us help you out by bringing this matter closer to you. If you would ask experienced movers what would be some of the mistakes people usually face when moving, one of the answers would be not distributing time in the right way. This usually leads to many problems as people become overwhelmed by the panic, thus provoking more serious problems. In this case, the problem is that you might not be concentrated enough when packing your valuables. Less stress since you are not time-limited. It is super important that you stay relaxed as much as possible. Having enough time to pack everything in the right way. Mixing items from different rooms will only bring a lot of confusion later on. Loading belongings one by one in a safe manner. This is extremely important especially with the boxes which contain “fragile” label. Using a moving container, you are in charge of the packing process. But these benefits don’t only help you in the very moment. Another goal when relocating is having your items safely transported, undamaged. Furthermore, when going step by step you simply have more time to put everything in its place, wrap the fragile items and secure them even more. In the end, the unpacking process will be less tiring as you had organized all of the items inside moving boxes and bags as they should. As we said, you can take your time to get done with all of the steps regarding packing, labeling and loading the truck. But if you want to stay on schedule, we suggest you give a call to your moving company in advance to inform them about the progress. This information is valuable to them as they also have their own schedule and clients which they need to respect. Therefore, make sure that you call them early enough so that they could send a vehicle which will pick the rented moving container and transport it to the desired location. As you can see, this will also save a lot of your time. The moving company will transport the belongings for you. In the meantime, you can focus on finishing other important tasks you have. We know that a lot of people worry about how to finance all services related to moving. The costs depend on many things. Starting with the distance, and whether there are some special requirements, to the number of items one wishes to transport. Well, when it comes to the last one, the benefit of moving container rental is that you can also choose the size of it. Good moving companies often have portable containers of different sizes. This allows you to choose exactly the one that will fulfill your requirements. For those of you who wanted to transport furniture, this is a convenient way to do so. If you choose a larger container, you might not even need to dismantle furniture. Just make sure to secure them well, especially if you are moving antique furniture so that you would minimize the risk of damaging them during transportation. But what does the size mean to your budget? Well, the bigger the container, the higher the price. In other words, in case you packed everything in a couple of boxes and bags, there’s no need to rent the largest moving container and pay for the half-empty space inside it. 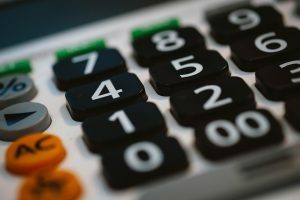 This way, you will save money if you choose the one according to the number of things you have. In order to pick the best for your relocation, advise with the moving company which is providing the container. Of course that the best would be if you could choose to move during a nice spring afternoon. But sometimes we don’t have the power to influence certain things. 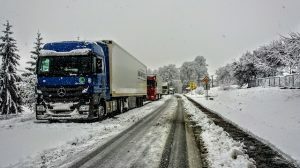 In case your moving date is during winter or during the heavy rain season, you do not have to postpone your relocation. Even in bad weather, your belongings will stay safe. 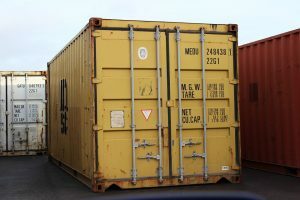 Another great advantage of moving container rental is that these containers are made of sturdy materials. Because of this, they are perfectly able to endure even the harshest weather. Still, the drivers will need to take precautions when driving during bad weather. Knowing this information will bring you more peace. And you can wait relaxed for your shipment to arrive. In case you will need more days to properly pack and load the portable container, your moving company will provide you with the key only you have the access to. Trust is an important aspect when doing business. Therefore, if you’ve made the right choice, you won’t have to worry much that someone will take advantage of you and do damage, or steal something of your property. All in all, the benefits of moving container rental are many. All are aimed towards providing the customer with the best moving experience. And, if you want to be sure that your belongings will have the best treatment, we suggest you to seriously think about renting a portable storage container.